These 3 inch diameter Off Road Header Extensions are exclusively for use with PaceSetter Quik Trip Long Tube Headers for 2010 Camaro with 6.2L LS3 and L99 engines (header part #70-2257). The mandrel-bent 16-gauge tubing is aluminized for longer life. 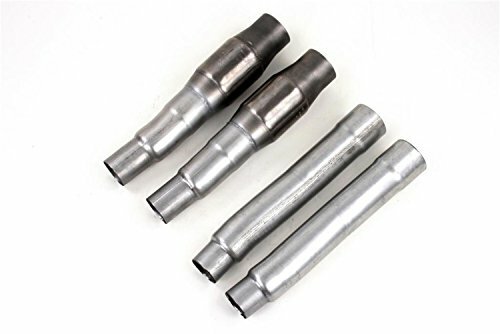 The Off Road Header Extensions are designed to connect the long tube headers to the stock or stock replacement exhaust system. No cutting or welding are required for installation. All clamps, necessary fasteners and instructions are included. Note: These Off Road Header Extensions will not work with other brands of long tube headers.